Have you ever been in a giant forest hiding inside many uncharted and magical things? 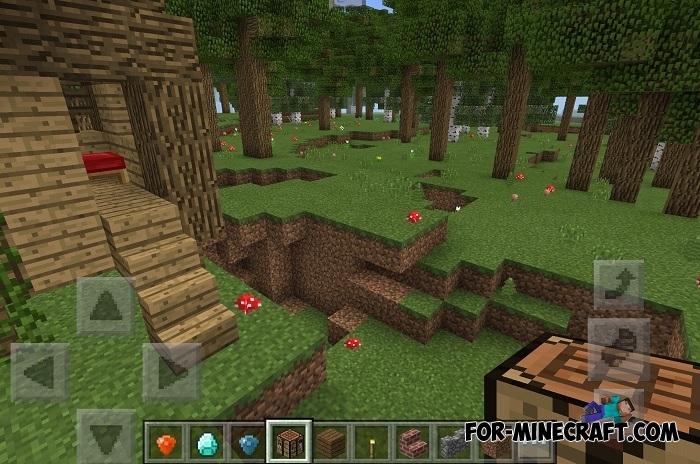 Infinity Forest is not at all like the usual forests in Minecraft Pocket Edition, it has its own aura, highest trees and frightening darkness. You can not find the infinity forest among the upper world, you have to build a portal to get there, but on this your adventure does not end. How to get into the infinity forest? At first glance, everything is simple: you need to make a blue crystal of diamond, seedlings, ground and foliage. 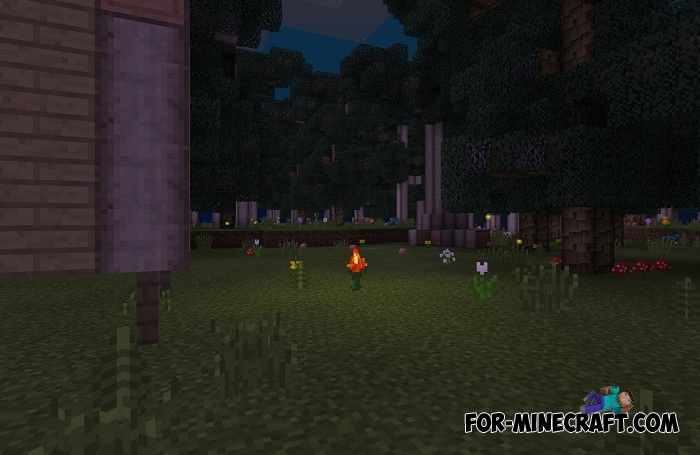 After that, you will get into a strange place resembling dense forests in the usual dimension. Study the structures, the remnants of civilization and the chests. There are no people here, they all left and left their homes. 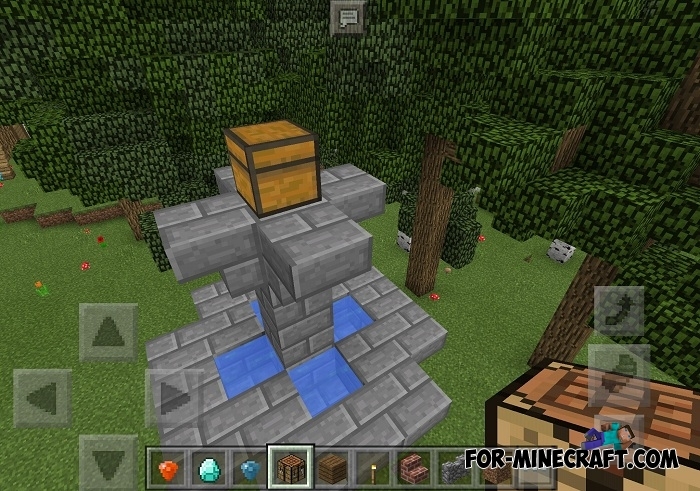 When you want to go home you need to find the orange crystal generated in the chests. Without it you will be stuck in this dimension forever! 2. Open Paranornal.icmod using IC.